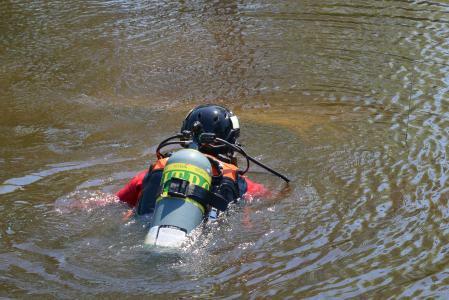 The St. Tammany Parish Sheriff's Office Dive Team has the responsibility of searching for and recovering submerged vehicles and other underwater evidence. The team also conducts hull and port sweepsfor contraband and/or dangerous devices. Members specialize in working in black water with little or no visibility and are also capable of working in HAZMAT conditions. The Dive Team, which normally consists of 10 divers, is available for diving 24 hours a day / 7 days a week. Occasionally, the team is tasked with helping other agencies both inside and outside our parish.